P90X3 fitness program has arrived! This 90-day program can help you get ripped in just 30 minutes per day. 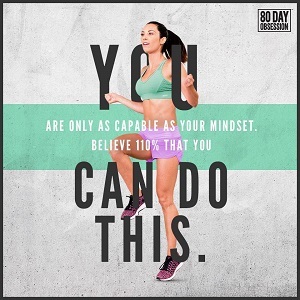 If you’ve been thinking about starting your Beachbody Coach business, now is the time! And you can get your enrollment fee waived when you purchase the P90X3 Challenge Pack. 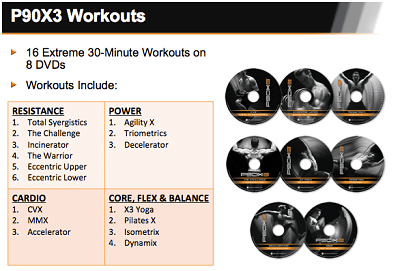 What’s Included in the P90X3 Challenge Pack? Exclusive Premium P90X3 Hat ($24.95 value) – December Only! How Does the FREE Coach Enrollment Work? Team Beachbody is allowing ANY customer who has purchased any Beachbody Challenge Pack, to upgrade to a Coach for FREE! How does a customer take advantage of it? To take advantage of this offer, the customer must first enroll as a Coach online and pay the $39.95 Coach fee which will later be refunded. In order to receive the refund, the new Coach must fill out a refund request form and submit to Coach Relations within 31days of enrollment. The full $39.95 Coach fee plus any applicable tax will then be refunded. If the refund request is not received within 31 days of enrollment, the offer is no longer valid and the refund will not be processed. Refunds will be processed within 2 business days of when the request is received. However, depending on the bank it could take an additional 3 business days for the Coach to see the refund in his/her account. Now is the time to get in great shape, have fun and develop an income stream! Once I see that you ordered the P90X3 Challenge Pack and then enrolled as a Coach, I will send you the form to fill out for your signup fee refund. If you have questions, please contact me. I am excited to have you on the team! On December 10, CLICK HERE to order the P90X3 Challenge Pack.